First published in the “Znamya” magazine in 2006. The novella develops as an everyday realistic story and suddenly turns into a scary tale: in the only township in a county where life is fully consistent with common sense, people are not what they seem to be. 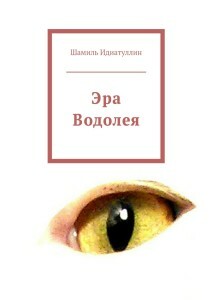 The action of the novella takes place in Tatarstan, federal subject of Russia, on the eve of the expiration of the current term of the President of the Republic. The main character, young Federal inspector Denis Saifiev, has to find for the Republic the best presidential candidate to be approved by the President of Russia. Albert Nasyrov, a local official, head of Azhdakhaevo District, looks like a perfect candidate: a skillful manager, who is smart, strong and independent. It is astonishing that Denis and his boss have never heard about this unique person. It turns out that Nasyrov had been а prominent representative of the Republican government, but at one point he deliberately assumed a low profile in a desolate area. This, as well as Nasyrov’s overly independent behavior, maddens the current President of Tatarstan who is about to step down. Denis goes to Azhdakhaevo to meet Nasyrov, to figure out the reasons for his actions and, most likely, to offer him to become the next head of the Republic. Within two days Denis is unable to meet Nasyrov: local officials keep showing him sights and explaining that the local head is sick. It turns out that small Azhdakhaevo township has two prominent features: rapid economic growth and ambitious plans to sell unique mineral water. A casual interlocutor met by Denis, – a businessman who came to build a mineral water bottling factory, tells Denis that local water has truly incredible healing qualities. At the same time, he tells frightening stories about how scary Azhdakhaevo is, and about zombie-like locals. Saifiev believes that his interlocutor has too vivid imagination, but the next day notices that local people are somewhat strange, too. However, he cares more about mosquito-induced allergy that makes skin on his wrist harder. Then, Saifiev encounters strange and terrifying manifestations of local features. First Denis faints at a modern top-notch slaughterhouse, where a young butcher slaughters and dissects a live cow in just a few seconds, seemingly with his bare hands. Then Denis realizes that the only remaining dog in the village is scared to death of local children. Besides, Denis regularly experiences strange physical sensations. When Denis, panicked, decides to leave the village, he is finally invited to a meeting with the head of the district. The conversation begins as a normal discussion between two officials, but immediately strays off in a weird direction and ends in a culmination. The head of the local administration has become a lizard-like monster, but keeps his intelligence and ability to communicate. The same thing has happened, is happening or will happen to a majority of the locals. The reason is the water extracted in the Jurassic strata of the subsoil. Enzymes in water rebuild human DNA, turning it into the species of dinosaurs whose remains form the Jurassic layer. Nasyrov explains that his conduct of recent months is exactly due to interest from Moscow he senses. Publications about mutations in a particular area would lead to isolation, if not total elimination of mutants. At the same time, isolationism may help study the area in depth, ensuring increase in the number of mutants and their victory in historical perspective. Denis, who has been drinking local water two days, also becomes a lizard, and these changes are irreversible. The new status gives him strength, agility, ability to communicate in ultrasound (which has been causing him unpleasant sensations recently), as well as virtual immortality. And so, sales of bottled water will turn people all over the country and in the world into the new species. Dennis rushes to escape. No one is chasing him. Denis decides that all that was one big joke, and he stops a passing car for hitchhiking. During an sudden clash with the driver he unexpectedly demonstrates a whole range of non-human qualities. He understands that Nasyrov has been telling the truth. The outcome: some time later, a representative of Russia’s President arrives in Kazan. Denis and his boss who is just starting his own transformation, praise the head of Azhdakhaevo to the guest of honour and persuade him to go to the area to taste the water. He readily agrees and demonstrates that he has become a lizard, too – yet of a more powerful species, in some way unrelated to the water. Moreover, his senior colleagues have survived the mutation and are looking for a way of loyal citizens’ mass transfer into a new form. Azhdakhaevo will now become a key to the problem. So Denis, who has been dreaming of playing a dominant role in a new society, now can only hope that he is not lost among many of the same creatures.